improve neglected skin, and restore damaged skin. In 1991, Dr. Gary Branfman established The Victoria Plastic Surgery Center . This eminent plastic surgeon set a new standard for South Texas Plastic Surgery. His rare combination of meticulous technique, unsurpassed ethical standards, and approachable bedside manner have awarded Dr. Branfman the “Best of the Best” Plastic Surgeon , and one of South Texas’ “Top Five Doctors” as determined by multiple surveys published in the Victoria Advocate. 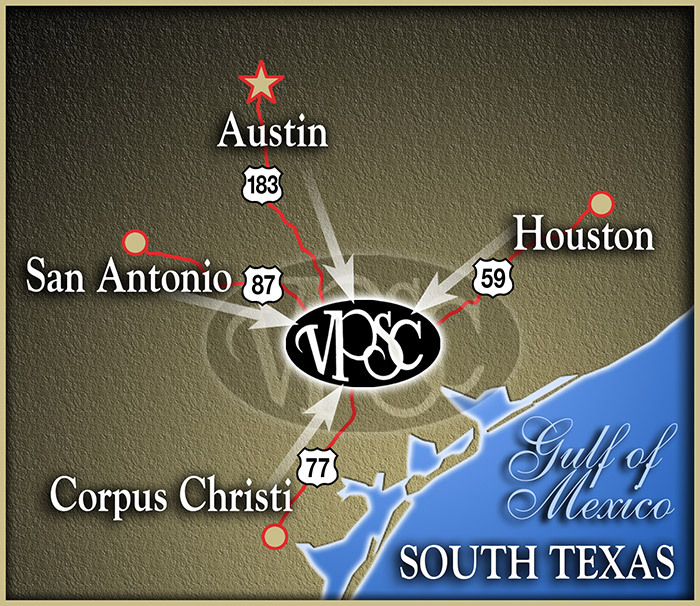 VPSC / THE BRANFMAN CLINIC, is conveniently located at 110 Medical Drive near the crossroads of US HWY 87 and Loop 463 in the city of Victoria Texas. Our clinic is located across the street from the Detar Women and Childrens Center. Offering his patients, BIG CITY SURGERY… in a small town atmosphere. Patients travel from all over the Country for an opportunity to experience the skills of Dr. Branfman while avoiding traffic jams, expensive parking and impersonal care. Dr. Branfman completed his formal training in Plastic Surgery under the guidance and wisdom of the legendary Cronin, Brauer, and Biggs group in Houston, Texas. This group is credited with many contributions and breakthroughs in plastic surgery including the introduction of the breast implant, advances in cosmetic surgery, breast reconstruction, cleft lip and palate surgery, and hand reconstruction. After receiving his medical degree from Texas Tech University School of Medicine in 1984, pre-requisite training in general surgery was completed at Mount Sinai Medical Center in Miami, Florida. This was followed by a burn/critical care fellowship under the direction of Col. Basil Pruitt Jr, MD at the United States Army Institute of Surgical Research in San Antonio, Texas, where he received certification “…in recognition of outstanding service to the Institute and The United States Army Medical Department” for his research on, and care of victims of thermal injury. An additional year was spent at Houston’s St. Joseph Hospital as a Microsurgery Fellow, during which time Dr. Branfman was awarded the prestigious Annual Laser Research Award from the American Society of Plastic Surgeons. Prior to his interest in medicine, Dr. Branfman pursued undergraduate studies in radio, television, and film in New York City, followed by a short career in this field. The same dedication and resourcefulness that allows him to create art with his Nikon, play jazz on his Steinway, and become a published novelist, affords him the ability to value the expectations, and a desire to satisfy the goals of his patients. His keen eye, appreciation for aesthetics, capacity for critical assessment, and caring personality have made him the much sought-after plastic surgeon he is today. Dr. Branfman is truly dedicated to the pursuit of excellence in the art & science of plastic surgery. His goal: To surpass the expectations of his patients. We can’t wait to find out how we can help you achieve your happiest, healthiest self. Fill in the form below to request a consultation. As many of Dr. Branfman’s clients come from out of town, please be aware that we are a two hour drive from major airports in Houston, Austin and San Antonio. Additionally, Victoria Regional Airport has shuttle flights to both Houston and Austin. Our office staff will happily assist out of town patients and family members in locating lodging at one of our many hotels or quaint Victoria area Bed and Breakfasts.